Yasmeen Fekri, a lively young Bahraini born with learning difficulties, joined THE One Bahrain team in June 2013 as a part-time Sales Assistant. We first met her through the Rehabilitation Institute of Active Learning (RIA) Centre, which is a voluntary run school for children of all nationalities with special needs. A graduate of the centre, Yasmeen had been working there as a Volunteer Teacher’s Assistant for 5 years, but had recently expressed a desire to integrate with society. 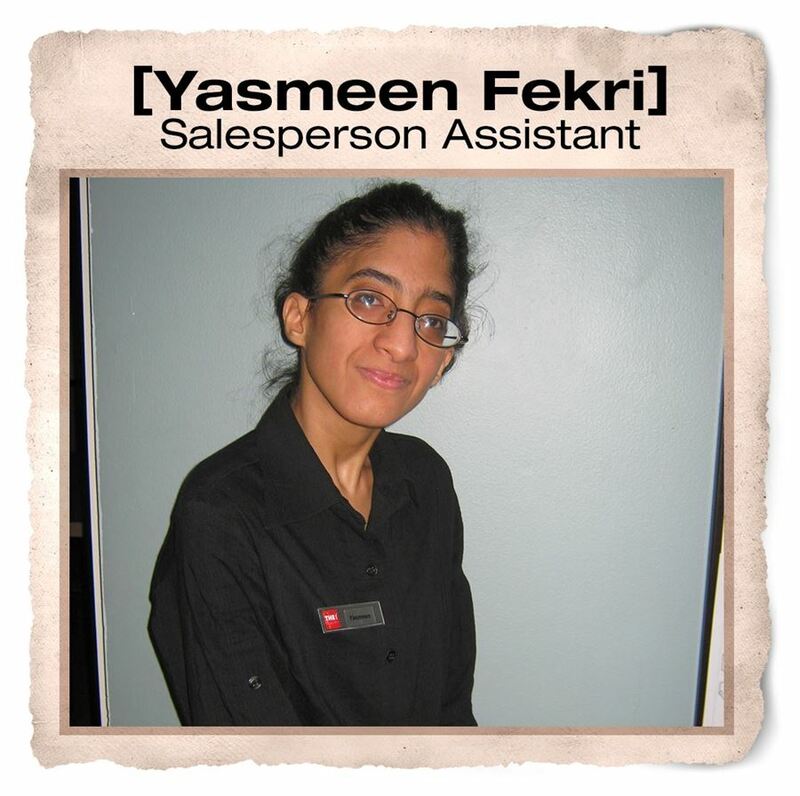 Yasmeen works five days a week for four hours a day in which time she helps with the pricing of accessories and administration tasks like filing. Besides being an asset to the team thanks to her enthusiasm and excellent spoken English, Yasmeen excels in sport, having joined Bahrain’s Special Olympics Team in 2005. Starting out as a track runner, then a horse rider and now a Bocce player, she has won 8 medals so far. To top it all, she is also trained in Public speaking by the Leaders Preparation Programme and has spoken at two conferences in Oman and most recently in Bahrain. A true inspiration!